Patient is a 14 yr old, FS, Border Collie diagnosed with a distal urethral mass (via rectal and vaginal exam) that has been causing urinary accidents. A CT scan of the abdomen including the pelvis as well as the thorax was requested to further evaluate the mass, stage the abdomen, and look for metastatic disease. 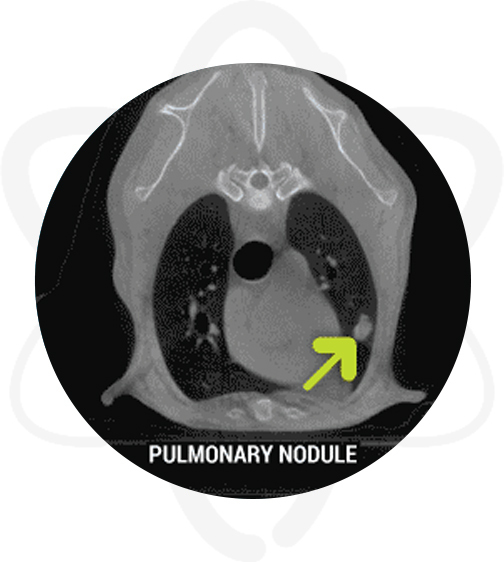 Patient was anesthetized and a pre contrast CT scan of the abdomen was performed. Afterwards, Omnipaque ™ (contrast agent) was administered IV and post-contrast studies of the abdomen (arterial & venous phases) and thorax were acquired. CT examination showed a relatively large contrast enhancing mass at the caudal pelvis at the level of the distal urethra. No osseous involvement was noted. No evidence of metastatic disease was found in the abdomen. Post-CT, multiple biopsies of the distal urethral mass were obtained and a urine sample was obtained for culture. Histopathology was consistent with transitional cell carcinoma of the urethra. 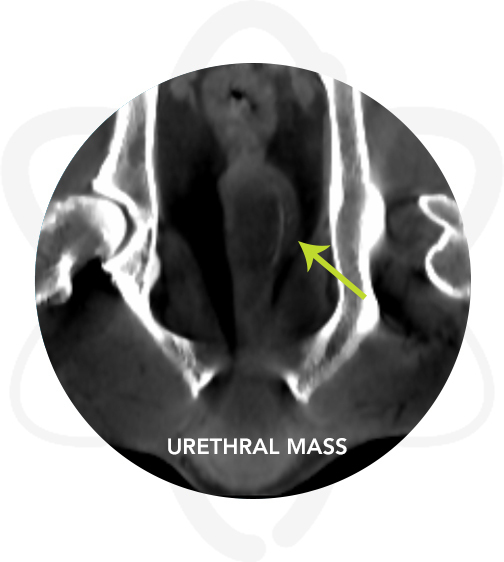 Provided further information (i.e dimensions) regarding the urethral mass. The abdomen was staged free of metastatic disease.